According to TechCrunch, there are a couple reasons why Facebook delayed this for iOS users. First, there were privacy issues Facebook had to deal with. Secondly, getting the feature right in iOS took some work; Facebook says they are using background uploading to make it all happen instead of using location APIs or iOS 6 integration. How do I start syncing my photos? 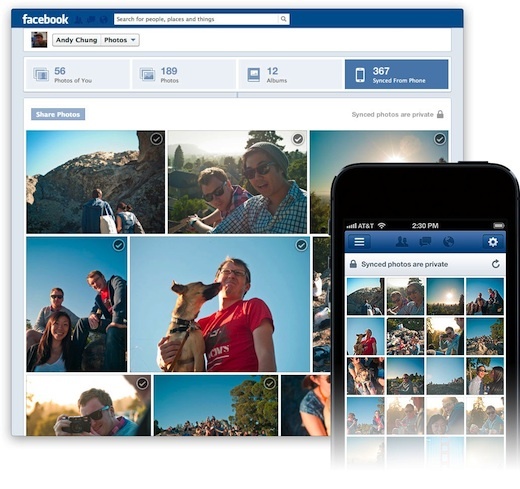 You can preview photo syncing by first making sure you have the latest version of the Facebook app installed on your phone. If you have an iPhone, you’ll need to be using iOS 6. Tap Sync at the bottom of your photos section. Follow the step-by-step instructions. 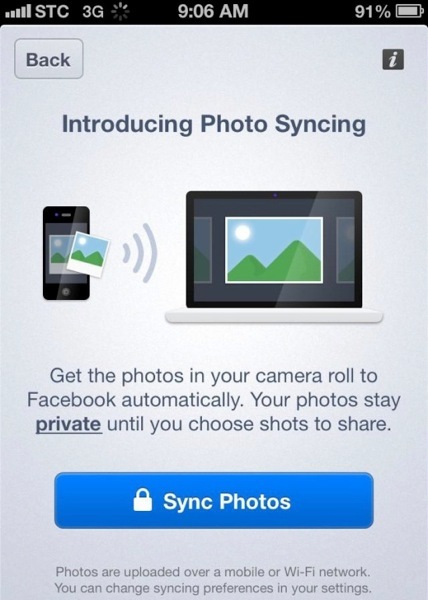 Let us know if you see the ability to toggle on Photo Sync in Facebook for iOS. We haven’t seen anything yet over here.